BMD Wynnum Manly Seagulls are pleased to announce the signing of Papua New Guinea internationals Rahdly Brawa and Edene Gebbie. Both players have recently been involved in tests for the Kumuls side against the England Knights and the Australian Prime Minister’s XIII. Brawa (27-years-old) is a highly respected member of the PNG Hunters side and was named the club’s Players’ Player of the Year at their 2018 awards night. The lock forward is a strong leader on and off the field, and plays with a high level of toughness and determination. Brawa gets through a mountain of work in the middle, averaging 115 run metres and 37 tackles per game. Excitement machine Gebbie (23-years-old) made a lot of noise in his debut season in the Intrust Super Cup and collected the Hunters’ Rookie of the Year award for his efforts. The fullback/winger is electric with the ball in hand, scoring 10 tries on the season and averaging 126 run metres per game. 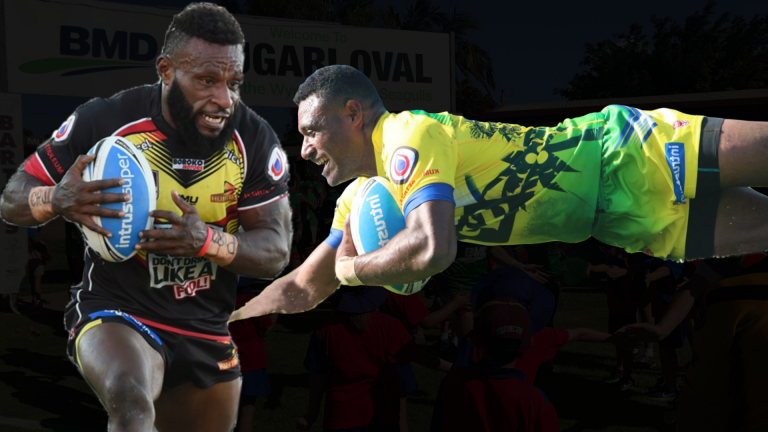 Seagulls CEO Hanan Laban believes the Kumuls’ pair will make a big contribution to the Club in 2019. “We are very excited to bring two high quality players in Rahdly and Edene to the Seagulls – both have proven records in the Intrust Super Cup and are test players for their country. In Rahdly, you have a player who plays above his weight, and with plenty of heart every week. He is tenacious in attack and defence, and we believe he will bring a lot of positive energy to our side. Edene is one of the best athletes in the competition who possesses speed and lethal finishing ability. He has the potential to take his game to another level at Wynnum Manly.